Head of Georgian Central Harmonization Unit (CHU) Ms. Giulli Chkuasli, accompanied by Ms. Ana Krsmanović, Director General of Montenegrin CHU; Ms. Jana Repanšek, CEF Director; Mr. Gašper Pleško Zalar, CEF Program Officer; and Ms. Tamar Gureshidze, GIZ PFM Advisor met with Georgian Deputy Finance Minister Mr. Giorgi Kakauridze to discuss launching of a new project focused on strengthening of the internal audit function in Georgia. 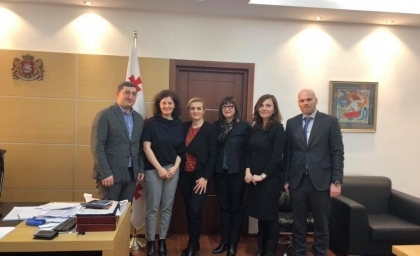 Through exchanging knowledge and expertise between Montenegro and Georgia and with the given high-level local support, the meeting paved the way to a long-term effort in raising the importance and prominence of the internal audit profession in Georgia. The meeting was part of the Training of Internal Auditors in the Public Sector project. 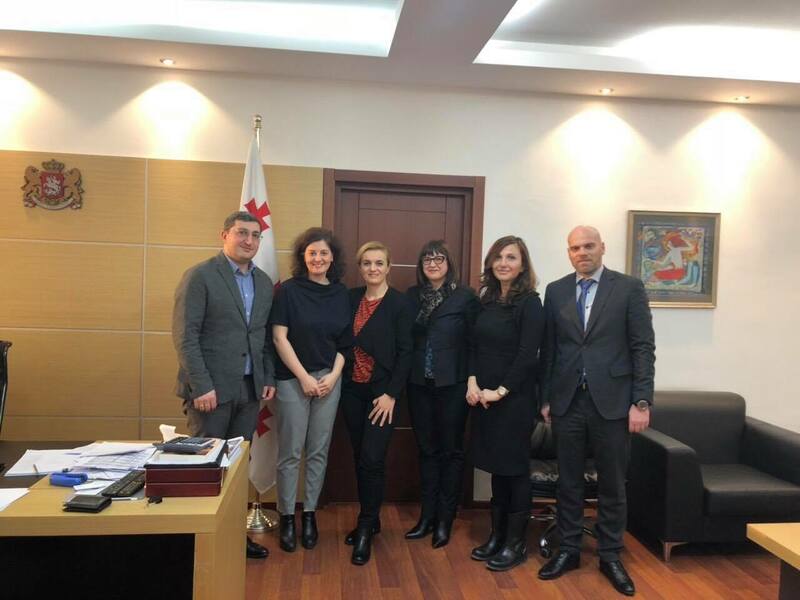 Financed and co-delivered by the GIZ, the one-year project will support writing and translation of training materials for four modules of the program and capacity development of up to 15 local tutors through training of trainers. 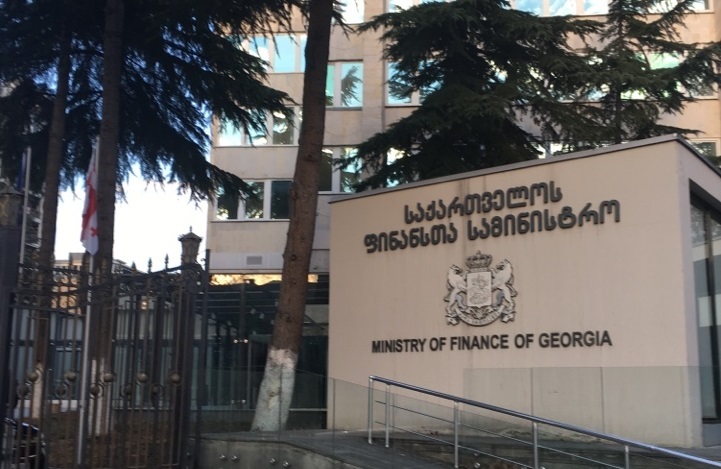 Trainers will be equipped with materials, essentials knowledge and skills to train the first generation of certified internal auditors in Georgia.